Even by the standards of 1972 - "the killing year" - Jean McConville's murder was a heartless act. She was already a widow; the killing orphaned her 10 children. So why four decades to arrest Ireland's best known Republican over the crime? The answer lies across the Atlantic at Boston College. A number of prominent paramilitaries, Republican and Loyalist, gave interviews to Boston's "Belfast Project". They were meant to be open and honest on the promise that each interview would be held back until the death of the participant. We know the late Brendan Hughes told Boston's researcher that Adams had ordered the McConville killing. The IRA had thought, wrongly, that she was feeding information to the British Army. Another of Adams' old comrades, Ivor Bell, also spoke to Boston. Bell is still alive, so his interview is supposed to be secret. The Northern Irish police had other ideas - they pursued the material through the US courts. Last month Bell was charged with involvement in the McConville case. Now Adams is also being investigated. He has always denied involvement in the murder. 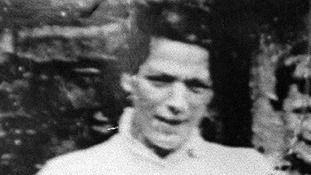 Mrs McConville's killing has gradually become symbolic of the worst excesses of the Provisional IRA, the tag "most notorious" is our TV shorthand. For years they wouldn't admit the murder. Then, although they tried, they couldn't find the body. Some IRA volunteers now seem to have told the Belfast Project what happened. Gradually the McConville children are getting at the truth. Justice, however, has been more elusive. So far.